The holidays are well upon us, and there’s never been a better time to celebrate friendships, spend time with family, and be grateful for our health. However, with the hustle and bustle of parties every weekend, fulfilling wish lists pages deep, and all that food, it’s also a time when our health is at increased risk. At my dental office in Douglasville, we’re always focused on our patients’ health, and not just in their mouths, but throughout their entire bodies. 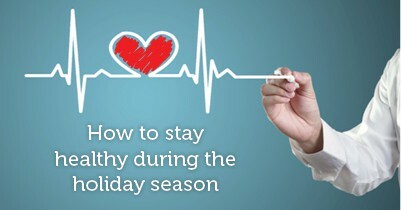 With that philosophy always at the forefront of everything we do, this holiday season we’d like to share some tips for making your holiday season a healthy one. One of the best parts of the holidays is the variety of food and drinks available at every turn. While we’d never tell to you skip out on enjoying a holiday feast, your dentist in Douglasville will encourage you to monitor your intake of food and alcohol. Overeating can lead to an upset stomach, so watch how much you consume. The same thing applies to alcohol. If you’re of age, partaking a glass of wine with dinner or a dessert of eggnog is absolutely acceptable, just don’t overdo it. Alternate every alcoholic drink with a glass of water, and try to limit yourself to two adult beverages per party. Nothing compromises your immune system or makes you feel sicker than a hangover that belongs on the naughty list. Everyone at my dental office in Douglasville wishes you and your family a safe and happy holiday season. Following these tips can help make it a healthy one too. Welcoming patients from Douglasville, Lithia Springs, Villa Ricca, and surrounding areas. Several things can keep you from visiting the dentist every six months as normally recommended. A bad experience, a fear of the dentist, finances, or maybe you’re just too busy. However, when you make the decision to get back in the dental chair, you may still feel reluctant. The team at my Douglasville dental office wants to ease your concerns and help you understand what you can expect at your first visit. One of the main fears patients have when they’re getting ready to come back is fear of a lecture. 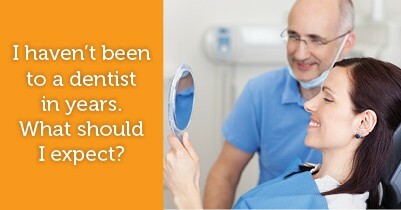 When you visit your dentist in Douglasville, we don’t want you to be afraid of getting chastised. Our philosophy doesn’t include making our patients feel guilty, but rather we talk with you about your concerns and work together to ease them. With us, you’re never in trouble and we’re always here to help. Whether it’s been a few months, years, or decades since you last visited the dentist, we’re here to welcome you to my dental office in Douglasville. Our goal is not only to get your mouth healthy, but to make sure you’re comfortable and that you’re an active part of your health care team. We welcome you to talk to us about your concerns so we can help ease your worries and get your smile back to health, beauty, and strength.